Social media is a great tool for professionals: it’s not just for your Uncle Don to share his quiz results or your college roommate to post pictures of her fancy dinners. Top producers use these tools to engage with former clients, inform current clients and leads, and reach new audiences that they otherwise wouldn’t have been exposed to. 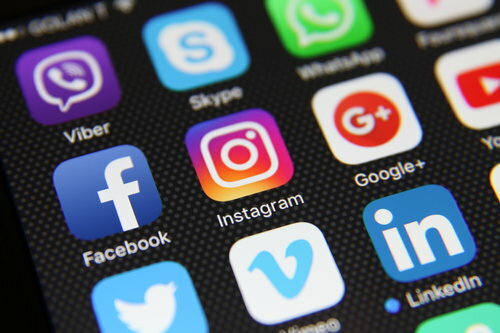 Whether they’re posting the stunning interiors of a new listing to Instagram or sharing sales reports relevant to their local market, agents who want to reach the top of their game need to cultivate an interesting and informative online presence. Still, many agents have had difficulty leveraging social media to boost their sales and position themselves as industry experts. A 2016 study from Sprout Social revealed that real estate is the fourth-most annoying industry on social media, according to consumers. So how can agents shake this stigma and evolve into valuable sources of home and industry information? Buyers and sellers like a well-rounded agent who’s knowledgeable about the entire industry, but what they really like is an agent who knows their particular neighborhood like the back of their hand. Demonstrate your expertise by posting candid photos of the neighborhood, any news about incoming developments in the area and even links to local events. You could have the most expertly groomed social media presence, but if your followers aren’t showing you love in the form of responses, likes, shares and more, it’s a missed opportunity. Getting feedback and response from your posts can be as easy as using hashtags — whether they’re specific to geographic location, a listing or an actual image — to not only catch the eye of current followers but extend your reach beyond that typical audience. But if hashtags aren’t really your thing, there’s a tried-and-true method to getting reaction: asking questions. Ask followers what they think of a certain housing trend. Ask them how a certain news story. Ask them how their weekends were. Ask them anything — within reason, of course — to establish a connection. While it’s critical to establish a relationship with your audience and let them know there’s a real person behind your screen name, don’t forget that your accounts have an ultimate goal: to sell homes. Don’t overwhelm your followers, but be sure to make your listings easily accessible to anyone looking at your profile, whether Facebook, Instagram or Twitter. 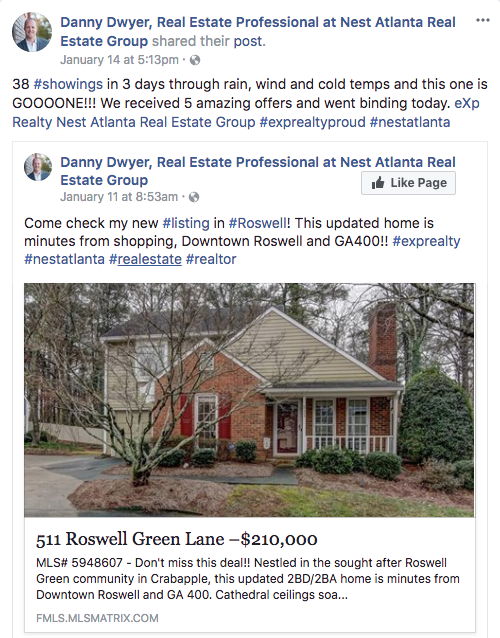 Danny Dwyer of Nest Atlanta Real Estate Group posts his listings so consumers have easy access and see the variety of homes available so they can pick the one that’s perfect for their needs. Danny Dwyer posts his listings and does everything he can to make the home shopping process easy for clients. But be sure to remember the golden rule of social media — 80 percent of posts should be about things relevant to your clients’ interests while just 20 should be about you and your actual product. Houston Agent Survey: What does it mean to be a top producer?